In the last quarter of 2018, we hosted several roundtables with our clients to discuss their flexibility journeys and to learn from other like-minded organisations. 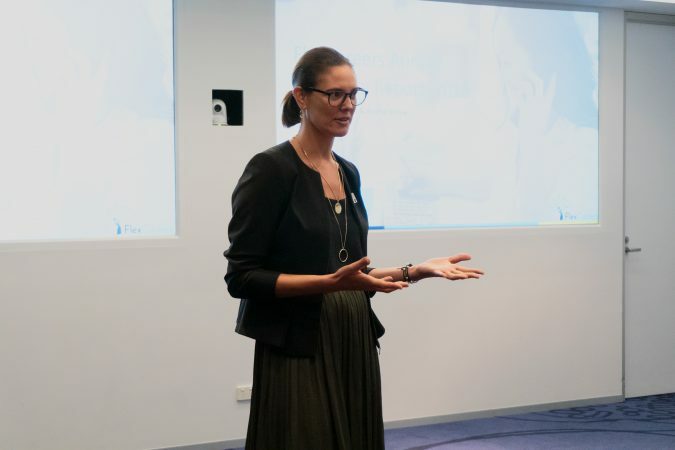 Discover the key insights as FlexCareers CEO Natalie Goldman and FlexCareers Partner Ariane Virtue share highlights from the roundtables and their predictions for 2019. If you want to listen to the full summary, you can check out Nat and Ariane’s video below! Companies that have embedded and normalised flexibility find that sick leave and stress leave decreases while employee engagement grows due to a better work-life balance. As a result, productivity is increased and the employee turnover rate is lower. Now that flexibility is considered normal, more organisations are actively looking for assistance to implement flexibility, especially within leadership roles. With senior managers and hiring leads now committed to flexibility, the focus has now turned to ensuring longevity. Without the commitment of senior leadership, flexibility has fewer chances to flourish within an organisation. When you focus on inclusion, the diversity becomes part of it. Many organisations aren’t even using the word “diversity” any more. Many organisations have started combining talent acquisition and D&I roles into one. This is due to inclusion being a large part of a company’s employer value proposition, and it has been shown that inclusive policies are one of the best attractors for potential employees. “Recruitment is the natural place for inclusion to go,” says Natalie Goldman. There are many apps and programs to help companies practice flexibility, so there are fewer excuses to not permit it. Zoom is a great application for holding meetings online (even we use it!). Some organisations are also writing their flexibility policies into client contracts, highlighting employee working days and allowing virtual meetings so clients can see flexibility in practice. A common challenge is that flexibility is implemented in pockets or patches, rather than company-wide. Often, it’s the managers that are acting as blockers, and they need to be brought into the conversation. Running workshops and one-on-one coaching for leaders and managers is one of the services we offer as part of FlexReadyTM. During the hiring process, as candidates are filtered through various stages, information about their availability and flexibility becomes lost. This can lead to shock during interviews. Companies need to work harder to ensure that their hiring processes are more streamlined and no information gets lost. In the rush to become flexible, organisations can forget that it’s not a fast or easy process. One of our clients has held over fifty flexibility workshops for their employees, and they have had great results and improvements during their journey. Having a flexible work place is a great way to attract talent and maintain a step over the competition, but it does take time to implement and put into practice. Rushing it won’t get results. Ariane finds that flexibility breaks when it isn’t well-communicated to employees. Without policies and guidelines in place, it can become confusing for all parties. 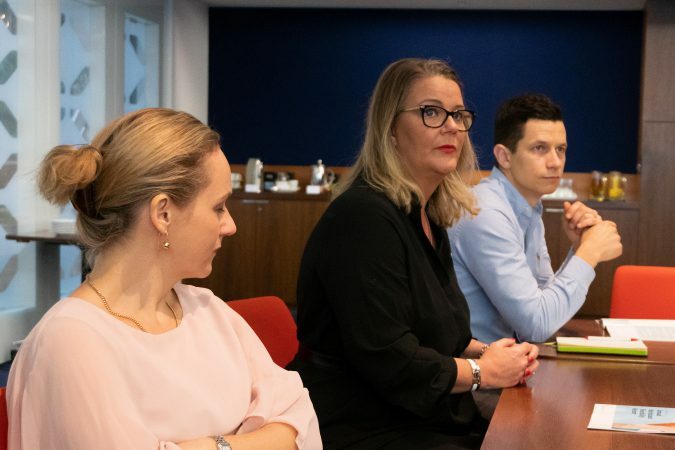 In 2019, you can expect to see better communication of policies across all levels of the organisation as companies continue to embed flexibility. One of our clients has a policy that all flexible arrangements will be put on hold during certain times in the business and clearly communicates this to all employees to ensure cohesion. Employees know that they will need to put all arrangements on hold and are happy to comply. What used to be a buzzword for working mothers or just women has become a policy for all demographics. With flexibility overpassing salary in candidate expectations, it’s clear that organisations need to focus on including all of their employees when implementing new policies. Some of our clients have an “all roles flex” policy when it comes to allowing their employees to work flexibly, and strive to ensure their employees have options to work flexibly no matter their position. With large organisations – including NSW Government – leading the charge, you’ll begin to see similar flex policies in other organisations, big or small. The relative newness of flexibility has made it somewhat challenging for organisations to link it to profit or productivity margins. But with some excellent studies coming out with clear and positive results, 2019 will be the year for many organisations to clearly link their policies with results. We will be taking a closer look at all research that comes out over this year to make sure that you stay informed and can clearly communicate policy effectiveness. Want to watch the whole video so as not to miss out on all of Natalie and Ariane’s insights? See below. Interested in how you can bring flexibility to your organisation? With our FlexReady program, we help organisations and leaders successfully establish flexibility in their workplace to increase profit, productivity, diversity, and happiness. You can reach out to us here to start your journey.